A quick project I did upon my former boss’s sudden request today. His client, as I understand, was a bit too eager to see what her favourite piece of furniture (apparently a pouffe) would look like after it’ll have been produced. The floor model was generated using RailClone2 Lite. I created two 2D arrays in order to control the tonal difference between the sequences of chevron parquet planks. This way, you can get a different colour scheme for every other sequence of planks. The material is a basic wood with a MultiTexture map in its diffuse slot and a fresnel black and white falloff map in its reflection and highlight glossiness slots. Finally, I added a VraySun to get nice reflections on the leather. I hope you’ll enjoy it ! Please do not hesitate to ask me any question you may have. 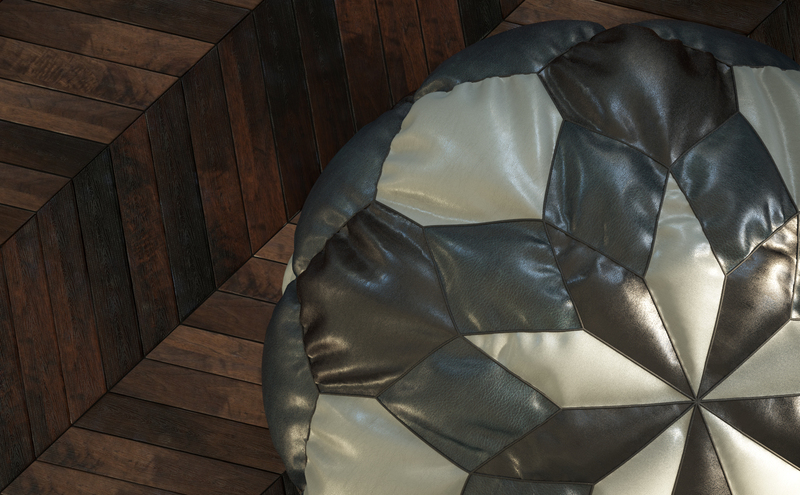 Posted in InteriorsTagged 3D, 3dsmax, architectural, architecture, bump, cheveron, chevron, hassock, herringbone, house, interiors, leather, marvelous designer, multitexture, ottoman, patch, pipe, piping, pouf, pouffe, railclone, tuffet, vray, vraysunBookmark the permalink.